The extension works in the background by stopping malicious scripts. You won’t see any warning message in the middle of browsing the web. There is an option to enable the displaying of a short report about the scripts the extension blocks. You can create a whitelist of websites that you don’t want the extension to interfere by blocking any script running on them. You can import the list of domains for the websites on a text file into the whitelist. This list can also be exported onto your computer in case you want to backup them. You can decide what type of script you want to enable or disable in the Options window. It is possible to block incoming objects in domains on whitelist. You can set a website to untrusted if you doubt about the safety of that website. If you are a professional user, you can put some restrictions on websites that you don’t trust. For example, you can use external filters to run checks on the webpage. You can also set up Anti-XSS protection exceptions on the website. You can tweak the Do Not Track feature by launching about:config and make changes to the noscript;doNotTrack preferences. 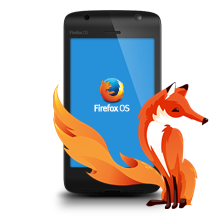 Fixes a number of infrastructure bugs which causes the filter to sync with the source code in the Mozilla Firefox browser.